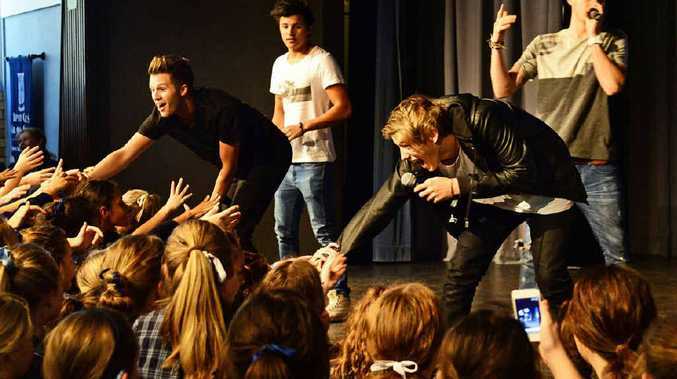 THE piercing screams from hundreds of teenage girls welcomed boy-band and former X-Factor contestants What About Tonight at Ipswich Girls Grammar School yesterday. The teenage heart-throbs kept the girls waiting for half-an-hour after flying in from Sydney to perform their new single, The Time of Our Lives. Year 9 students Danielle Harding, Katie Snowden, Grace Kuel and Chaise Jackwartz were among the hundreds of students cramming close to the stage hoping to get a closer look. The girls said they would scream at the reality television stars when they appeared on stage. Band member Luke Howell said the reaction of the girls was amazing. "It was crazy! All the girls where we go are crazy. It was electric," he said. The girls lined up across the stage to get a signed memento from their boy-band idols. But the performance was not all about spreading the new single, with the boys standing in as ambassadors for the Salvation Army's quest to raise awareness about youth homelessness. Howell said the Salvation Army project was close to their heart. 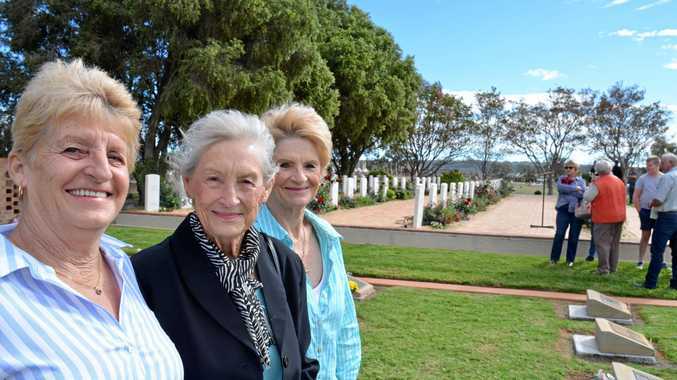 "To be able to support it, it's something that's within our age demographic," he said. "It affects people from 16 to 24 and if we can help spread the message through our music that is fantastic."